Mobile First Designs: The single most important web design feature this year will be mobile-friendliness. Mobile browsing has surpassed desktop and Google is going to start indexing your mobile site over desktop starting this year.Designers will need to consider mobile design heavily and how user friendly it is, instead of just using a program to resize their desktop designs. Our designers have already been creating with mobile in mind and mocking both versions up separately in order to provide the best experience for users regardless of what they use to get to the website. If you are not taking your mobile website seriously, now is definitely the time to start. Vivid Colors: Over the years, we’ve seen an increase in the use of bold colors being used throughout which can help create truly unique experiences for users. But of course, designers must use these colors wisely as not to send their site users to the optometrist. Integrated Animations: Animations are a fun way to keep users engaged throughout their experience on the page. Animations will continue to dominate web design in 2018 and will give personality to your brand, making it less static and more dynamic.The interactiveness of animation ensures any site is playful and catchy, encouraging visitors to browse for longer. Our website already has many animated features including animated logo and hover-over effect on our staff page but we are excited to see what other animation elements will come into play in 2018! 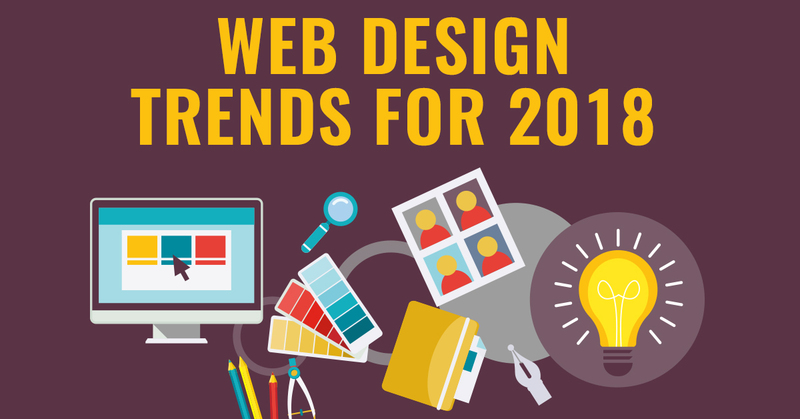 2018 seems to be an exciting year for web design. It’s all about creativity and originality and we cannot wait to start designing!